Open and Close is one of the often misunderstood Core Skills. The idea of opening and closing the joints and cavities or Kai/He in Chinese, has to do with the ability to control changes in pressure. This changing of pressure is both a physical and energetic action. Physically we learn to alter the pressure and eventually even the amount of Synovial fluid in the joints. Synovial fluid is what ‘pads’ the joints, giving them their springlike quality. It is important to note that Open and Close is often intimately linked with the third Core Skill - Expand and Compress or Condense, especially for the novice. In terms of the Cavities - Abdominal, Solar plexus and Chest - physically, pressure regulation largely involves the third Core Skill - Expand & Compress. But energetically it’s a different story. 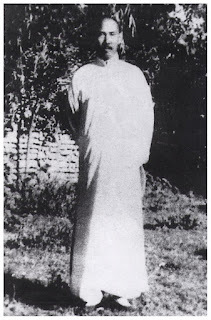 Once one has control of the low Dan Tien, that is, the ability to expand and condense it, thus regulating the concurrent volume of Qi, then, using spherical breathing, one is able to inflate and condense the cavities energetically as well as physically. The actual manifestation of Opening and Closing is rather small and often difficult to see - although the experienced practitioner can feel a clear pressure differentiation. In addition to the center of each joint, Close and Open utilizes the attachments of the related muscles, tendons and ligaments to condense the joint (Closing) and then expand it. (Opening) By attachments I mean the places where the Sinews join or attach to the various related bones. To get a feel for this, try squeezing (tightening) all the muscles around your elbow. This of course is a gross over-simplification, but it will give you the general idea. To get this to work, you must also contract the upper forearm muscles toward the elbow while simultaneously doing the same with the lower part of the upper arm muscles. This will give a basic feel of closing the joint. In order to Open, simply reverse the procedure and stretch (lengthen and expand) the same muscles away from the joint. For other training methods and a more detailed explanation, check out the book Inside Zhan Zhuang, Pg. 278-283. What happens with new learners is that at first they must use the bellies of the muscles in addition to the attachments. In a sense this is actually a combination of Close-Open and Compress-Expand. Although this is many times how these skills are used in application, for experienced hands, Closing and Opening by itself is mostly an internal process of changing Qi pressures. For this advanced method to work, the dedicated practitioner must have fully ‘Hardwired’ all the joints and cavities to the spherical expansion and condensation of the low Dan Tien. In order to apply the second Core Skill to your Taiji movements, try this: choose the endpoint or finish of any posture. This will be your ‘Open’ position. Let’s take Double Hand Peng for example. 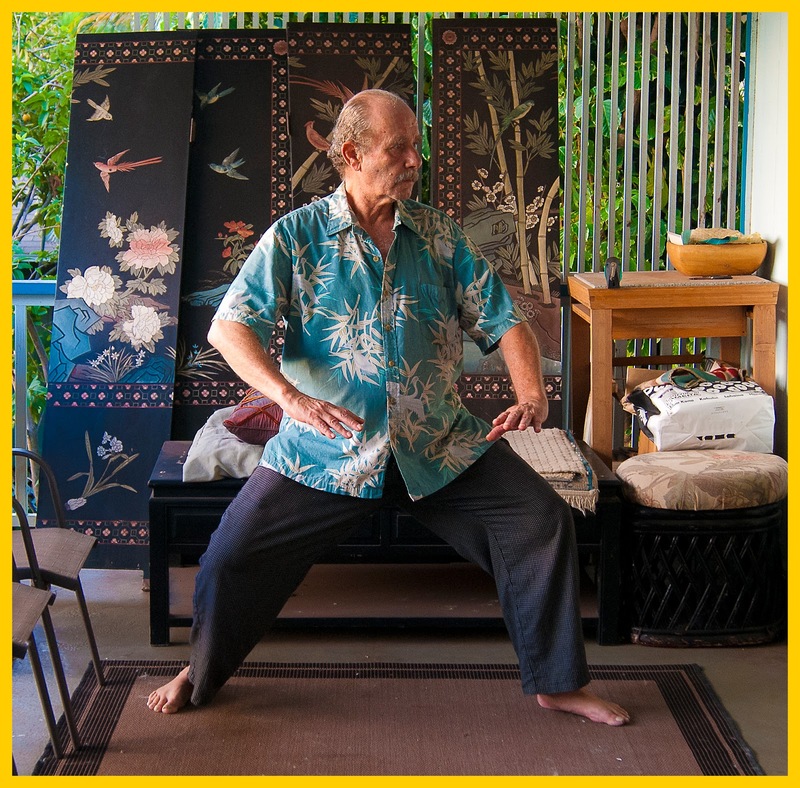 Stand at the finish of the posture, then in order to ‘Close,’ while slowly exhaling, contract or condense each of the joints and cavities from the extremities into the low Dan Tien. This will cause the posture to very slightly ‘shrink,’ but with all the alignments still intact. From there, simply inhale from the low Dan Tien out to the extremities. 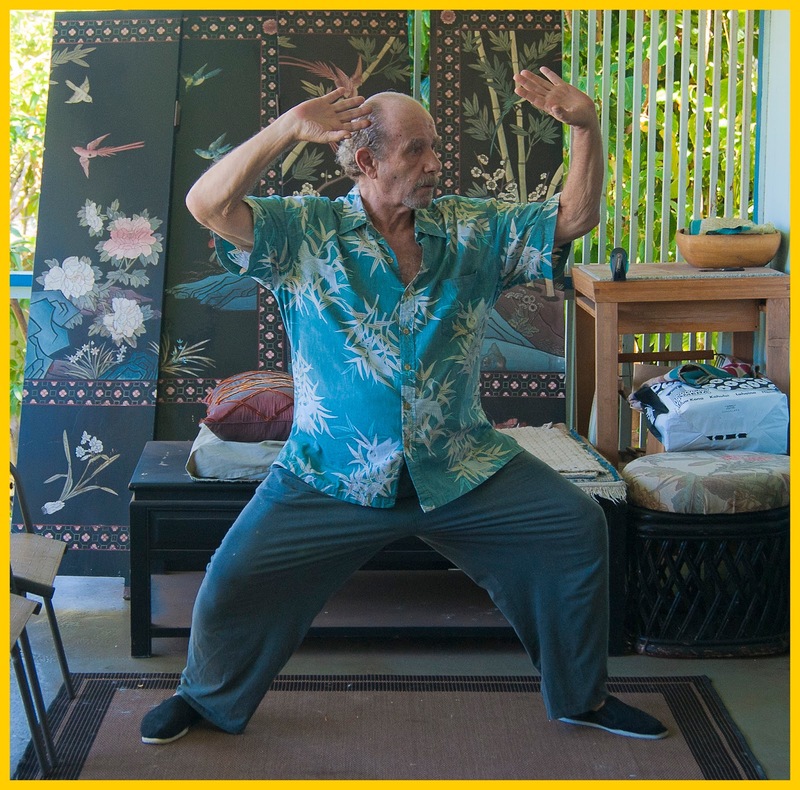 This will cause the posture to ‘Open.’ This method is known as ‘Pulsing the Joints’ and is usually mastered by using many individual repetitions similar to a Qigong exercise. Of course you will need to train this with every posture as well as each transition. After enough experience one is able to Close and Open all the joints and cavities simultaneously, in concert with the condensation and expansion of the low Dan Tien. Also, it is important to remember that Open and Close as well as the other Core Skills, Expand and Compress and Twist and Release are actually already ‘embedded’ within each of the Taiji movements. In the next installment we will examine the third Core Skill - Expand and Compress which, along with Open and Close will provide a concrete method of expressing powerful Jing as well as generating a vastly increased degree of circulation which tremendously benefits one’s health. Below is a link to a new translation of Mr. Wang Xiang Zhai’s classic work, “The Correct Path of Yiquan” (1929) by Mr. Paul Brennan. Although there have been other translations, most about 15 or so years old, IMHO Mr. Brennan’s is by far the most in depth and dare I say, accurate. I’ve compared the earlier versions with Brennan’s translation word for word, and it turns out the early versions use a fair amount of word and phrase substitution in order to “make more sense” in english. 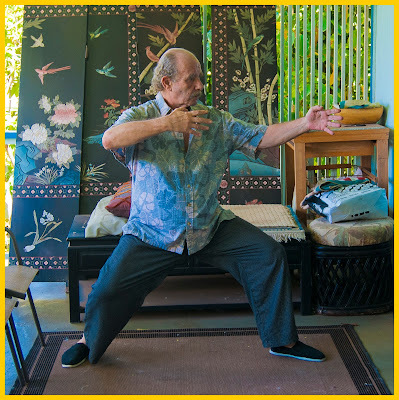 While these changes do convey important parts of the intended meaning, the precision of Brennan’s work has provided me new and deeper insights into both Zhan Zhuang and the Internal Martial Arts. This technique uses Dan Pien (Single Whip) to intercept an outside punch, or an inside punch or the start of double punch - instantly joined with the coiling, seizing and plucking of Gao Tan Ma (High Pat On Horse) while simultaneously delivering a devastating blow to the throat or side of neck with the other hand. This is actually a Tai Chi "battlefield' technique where the opponent is violently pulled into the strike for maximum damage. The second method of the Zhan Zhuang Cooling & Clearing exercises focuses less on the physical and more on the energetic elements. This method uses the palm to guide the Qi along various meridians away from the Central Channel and out the extremities. The palms can be used individually or in a continuous repetitive manner, one after the other, especially on the front of the body. (Chest and Abdomen) These motions have the effect of both smoothing out blockages and venting excess heat. The same lines as with the patting/tapping method are used, but with more specificity. First place your left elbow, forearm and palm roughly parallel to the ground with the shoulder completely relaxed. Then, starting from the top of the left shoulder, use the right palm to brush down the arm all the way to the finger tips and then an inch or two beyond. It is important to extend the motion slightly beyond the body so any tainted Qi or excess heat can be fully expelled. While it is possible to cover the entire arm with each pass, a far better result is achieved by dividing the arm into its composite meridians. Start with the Large intestine meridian, followed by the Triple Heater and Small Intestine meridians. Do each three times. Next, turn the forearm over so the palm faces up and brush down the Heart, Pericardium and Lung meridians. Note: If you feel a lot of movement of Qi or heat in any particular meridian you may want repeat until you feel an sense of evenness or cooling. Brush down the same five lines as with the patting/tapping method. They are the centerline (Ren meridian) the left and right Stomach meridians and the left and right Spleen meridians. (See Part 1 for locations) With the Brushing/Guiding method the chest and abdomen are linked. Start from right below the clavicle and brush all the way down to the level of the pubic bone on each pass. 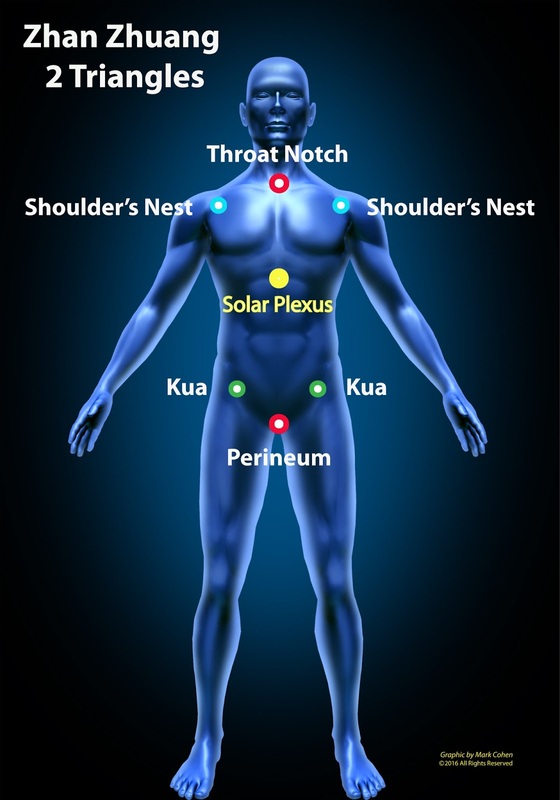 In addition to all the above, there are two other techniques which involve clearing blocked energy in the diaphragm and/or Hypochondrial region. Blockages in this area are often the result of stagnant Liver Qi. Method 1 - Place both palms on the left side of the body near the low ribs. Brush toward the centerline following the bottom of the ribcage. 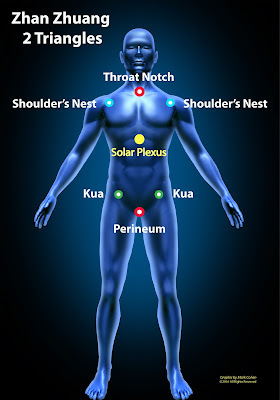 Continue past the Solar Plexus and out to the right side of the body. Slightly accelerate and increase pressure as you finish each repetition. Repeat 6-12 times for the left side of the body then start again beginning on the right. Method 2 - Place your palms on both sides of the body at about the level of the low ribs and then brush along the bottom of the ribcage toward the centerline and then down the left and right Stomach channels to the pubic bone. Repeat 9-12 times. Slightly accelerate and increase pressure on the descending part of the motion. If there is headache or unusual pressure in the head, we can utilize some massage to mediate the issue. 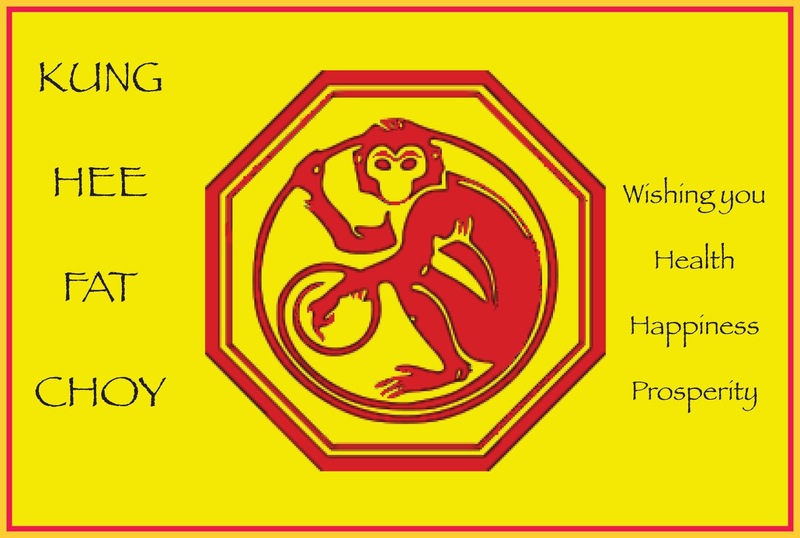 The main points for this include GB-20 Feng Chi (Wind Pool, Wind Gate) and GV-16 Feng Fu (Wind Mansion.) Notice that both names contain the word ‘Wind,’ which in Chinese Medicine is considered a primary cause of headache. Wind in the head is usually derived from excess heat or fire that generates Wind (as does an actual bonfire) which then rises (into the head.) For Feng Chi point use both thumbs, one for each side. 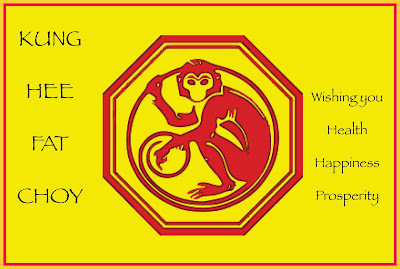 For Feng Fu try the index and middle finger of one or both hands. Use a small circular motion that every so often firmly descends down the neck. Both points can be effective for draining excesses in the head. Note: Be sure to avoid pushing solely in an upward direction toward the skull and brain. Depending on the location of the problem, one can also use a firm pressing pattern starting at the inside of the eyebrows (Zan Zhu Bl-2) rubbing outward through Taiyang point (temples) over in front of the ears and then down through the lower jaw. An alternative route branches from in front of the ears and goes up and around the ear, then downward, following the bone to the neck. For these methods, the tips of the middle fingers are often used, either with a firm steady pressure or small clockwise circles. A firm type of pressure is indicated in order to disperse and break up the ‘excess’ condition of which this type of issue almost always is. One blockage that can also occur in the neck area is known as ‘Plum Blossom Qi which manifests at the base of the throat as a feeling of something being stuck there or difficulty swallowing. The remedy for this is Tiantu point CV-22. Rest your index finger on the bone at the bottom of the throat notch so that you can feel your windpipe with your fingertip. Now carefully push down behind the bone but in front of the windpipe. Gradually keep pushing downward until your finger wants to stop. From there, inhale and exhale, then remove your finger. Be careful not to push down too deep or too hard or you’ll start to cough. Also, know that if you mistakenly push directly into the windpipe with any strength, you’ll almost certainly make yourself cough. So be careful and go easy ‘till you know how you handle it. Stimulating Tiantu point in this manner often clears the feeling of something being caught in the throat quite quickly. After a long Zhan Zhuang session such as holding one posture for more than an hour or going through a particularly grueling set of individual postures, once in a while it happens that there can be some sense of discomfort, pressure or pain that manifests somewhere in the body. There are two basic causes for this. One is external, relating to muscle pain and the like. The other is internal, having to do with the movement of Qi and blood or the lack thereof. These sensations may occur either during or after a session. Normally this sort of reaction tends to occur within the first few years of training, but it can occasionally happen even after many years of practice. For those experienced hands with 10, 20 or more years of Zhan Zhuang training under their belt, dispersing unwanted accumulation or rebellious Qi is usually a simple matter of changing point of focus. This can be as easy as moving one’s intention and focal point from the low Dan Tien to the palms and the soles of the feet for a few minutes at the end of a session. This is possible because after extensive Zhan Zhuang training, the Qi can be guided solely with one’s intention. 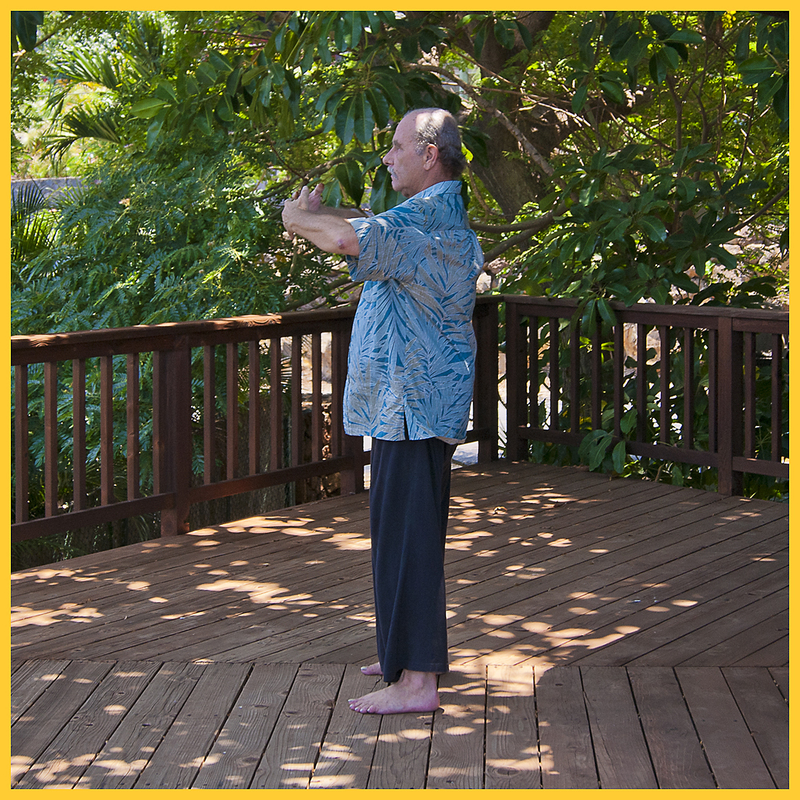 A basic Wuji posture with palms parallel to the ground is often used for this method. However, for those with less experience who have not yet gained this achievement, additional physical methods will prove most helpful. The first of these is called the Pounding, Patting or Tapping Method. This technique involves using different parts of one’s fist to hit along certain meridians from the torso out to the extremities. This helps to ‘order’ and guide the Qi in a very concrete way. Before you start, rest both palms, one on top of the other - on the low Dan Tien/Navel area for a minute or two to transfer energy to your hands. After that, rub your palms together vigorously for a few moments and then begin. For the neck, first press the tongue to the roof of the mouth and close the jaws firmly. This is to protect the brain. Now, using the flat part of your right fist, pat down the left side of the neck from just below the skull through the Sternocleidomastoid muscle to the top of the shoulder. Do this 3 times then switch sides and repeat. Use moderate to light hits only. When in doubt, better to err on the side of caution and keep things rather light ‘till you know how you’ll react. Pain or some other form of discomfort can often be experienced in these areas both during and/or after a Zhan Zhuang session. To help move out the lactic acid that can accumulate in the muscles and unblock the Qi, use the bottom of your right fist to pat your left side from the top of the shoulder, down along the upper arm, elbow area and forearm, down to the wrist. (Hold your forearm roughly parallel to the ground for these patterns.) Do this pattern 3 times, then switch sides and repeat. Note: If you like, you can change from the bottom of the fist to the knuckles of your fingers for the forearm area only. This will provide stronger stimulation. 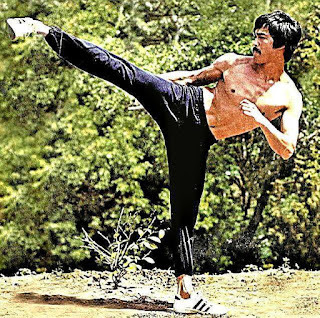 Next, using the top part of your right fist (Tiger’s Mouth) pat from your left armpit down along the underside of the upper arm, elbow area and forearm, down to the wrist. Do this 3 times, then switch sides and repeat. For this area use the flat part of your right fist to pat down your left chest to the abdomen. Do this three times and then repeat on the other side. Sometimes you may which to use 2 lines on each side instead of just one. In that case, the first line starts just below the center of the clavicle (Stomach Meridian) and the second in the hollow of the shoulder’s nest. (Lung/Spleen Meridian) Next, using either one hand or both, pat down your centerline (Ren meridian) from just below the throat notch, down past the diaphragm and onto the abdomen. Note: You can also start with the centerline and then progress outward to the Stomach and Spleen meridians - and each of these three patterns may also be extended all the way down to the level of the low Dan Tien. We can divide the abdominal region into 5 lines. Two on the left, two on the right and one in the center. The two sets of left and right lines fall (1) about 2 inches from the centerline and (2) about 3 1/2 inches from the centerline. (where the Rectus Abdominus meets the Obliques.) Start with the centerline - pat with the flat part of the fist from the Solar Plexus down to just above the pubic bone. Note: You may also choose to utilize both fists in an alternating manner. Next, use the line two inches from your centerline (Stomach Meridian) and repeat the same procedure. Lastly, use the outermost line (Spleen Meridian) and follow the same procedure. To finish out the Pounding-Patting-Tapping method return your focus to the Dan Tien/Navel area. Then, pat this area 36 times. Finally, use your palms to rub the same area 36 times in a circular manner. After that, walk around slowly for a couple of minutes. All this helps the body to smoothly transition back to the normal activities of daily life. "When one achieves a considerable amount of genuine relaxation, it sometimes happens that they experience a ‘time warp,’ a sort of space/time distortion. Wang Xiang Zhai called it entering the Void. The Void is a Buddhist term, Taoists call it Emptiness. The word void is a little bit of a misnomer in that it means ‘without contents or empty.’ This can be taken to refer to structure or form as we know form, meaning empty of things we can grasp with the mind. There is an intrinsic difficulty in describing something that is beyond the ken of the mind. Using words, images and mental constructs can only convey an echo of the real thing. After all, we’re speaking of experiences in pure beingness, beyond our natural boundaries of time and space. But the fact that there is nothing ‘recognizable,’ doesn’t mean that this state is inert. On the contrary, in one sense, these states of higher awareness are constantly in motion, only in present time. This means we don’t have the usual linear reference points by which to measure our experience, let alone time or space. But even so, we can still have a knowingness. The first awareness of this sort usually occurs after the fact. For example, we think we’ve been standing for 15 or 20 minutes, but when we check the time, it turns out to be closer to 40 or 50 minutes. When this occurs, it feels like our blood sparkles like champagne and we’re filled with vitality. Some of the other signs may be the absence of thought and even emotion, little or no awareness of the physical body combined with the sense of perceiving and being part of the subtle nonphysical energies. Also, there may be a calmness or peacefulness that seems to pervade the depth of our being."